David C. Fathi blogged on some of the absurdities associated with the Prison Litigation Reform Act in the Huffington Post. He called for new prison reform legislation that would amend laws that make it so difficult for those in prison to seek justice for abuses they suffered during confinement. As a long-term prisoner, I am grateful to all bloggers, journalists, and media representatives who help more Americans understand the complexities of confinement. During the first 21 years that I served in prison, the only talk or reports I heard about prison demanded longer sentences and harsher living conditions. We need prison reform to improve our nation’s prison system, and the climate appears right to advance the call. As Senator Webb expressed in his recent PARADE magainze article, incarcerated drug offenders have soared 1,200 percent since 1980. Most of those drug offenders do not have histories or proclivities for violence. Despite their not posing a threat to the stability of our society, they serve sentences far longer than many offenders whose crimes left victims behind. Our prisons now confine nearly 2.4 million people. America will benefit from the improved prison system that will result from the recommendations following the commission’s report to Congress. The act that Senator Webb initiated should not preclude additional prison reform legislation that would bring relief to the tens of thousands who languish in American prisons today. As I have, many of the nonviolent offenders have already served significant portions of their sentences in prison, and continued confinement wastes taxpayer resources. Every day I write new content about America’s prisons, the people they hold, and strategies for growing through confinement. I publish that content at PrisonNewsBlog and on Change.org. 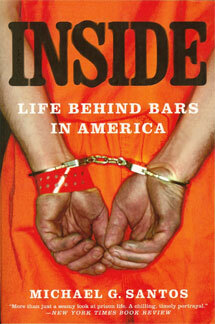 I hope that other bloggers will join me in spreading awareness on the need for prison reform.